One of our very favourite spots in Vietnam, the picturesque town of Sapa lies amongst the high ranges of the ‘Tonkinese Alps’ in the far northwest of the country, close to the border with China. 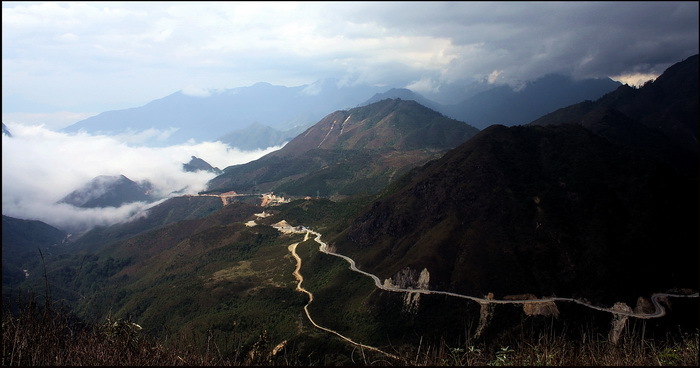 This small, mountain-top settlement became popular during the French era as a cool retreat for colonists from the rigours of the Hanoi climate. 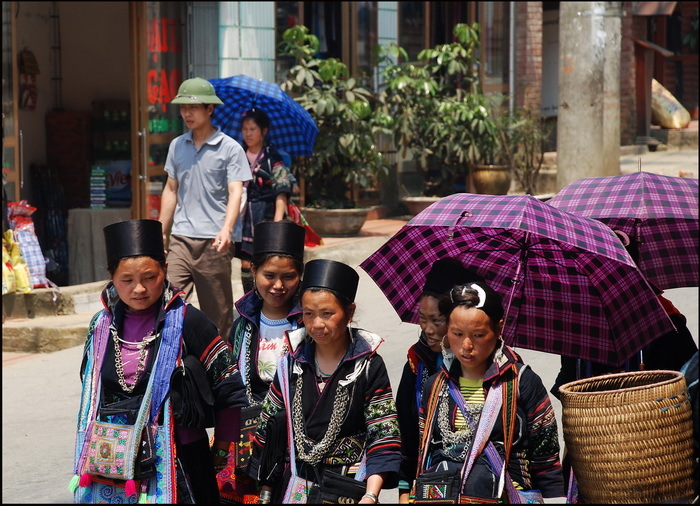 Now Sapa too can have a fairly rigorous climate but one thing it isn’t for most of the year is hot! 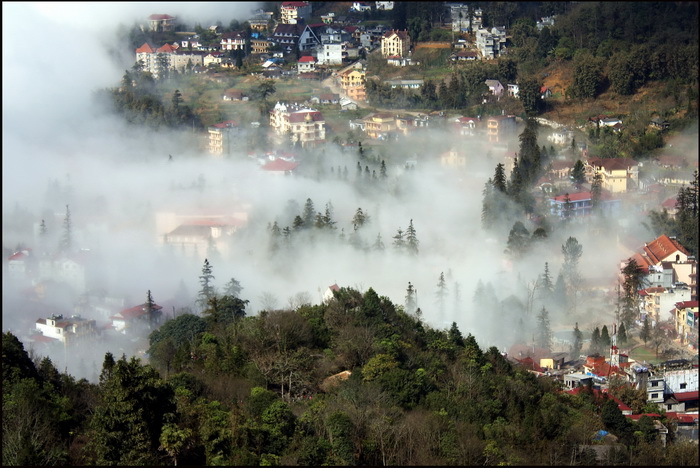 In fact, situated as it is at some 1,500m altitude Sapa can get distinctly cold, during the winter months and covered in mountain mist for weeks upon end at certain times of the year. 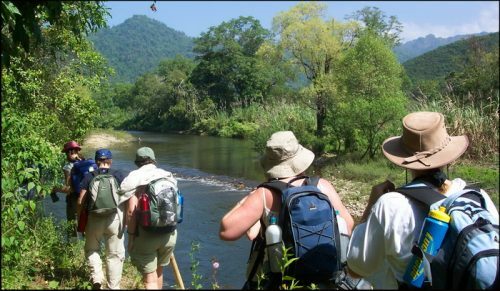 For long term expats, and indeed local tourists from Hanoi, that is part of the town’s charm though and whatever season you visit – picturesque it certainly is! 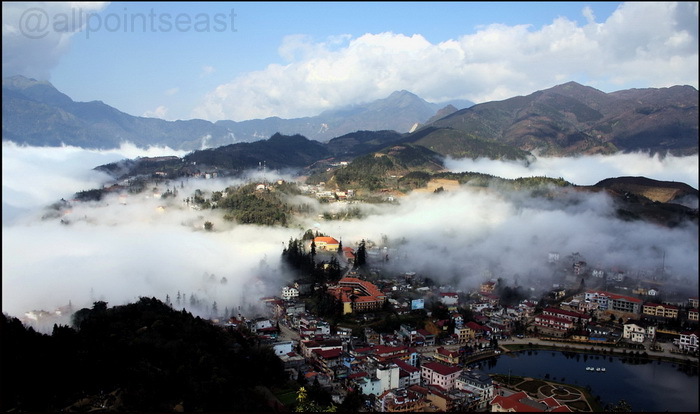 The town itself is built along a mountain ridge with a steep valley separating Sapa from the imposing Mt Fansipan, mainland Southeast Asia’s highest peak at 3,140m. 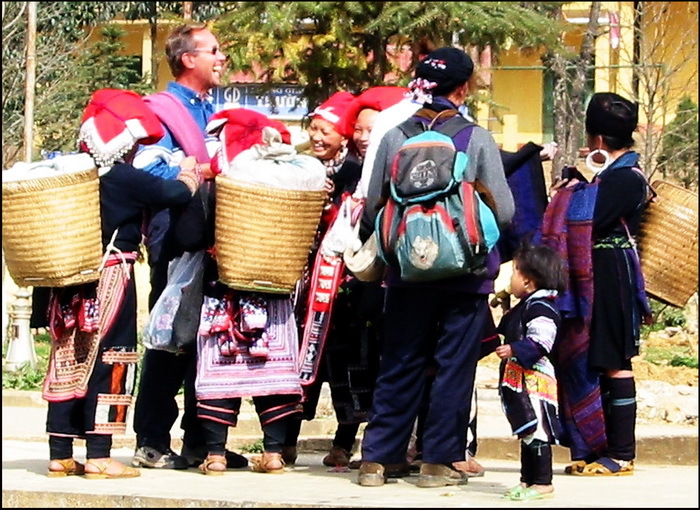 One of the main attractions of the hill-station is the myriad hill-tribe peoples from the surrounding villages who flock to Sapa’s market, as well as flocking to sell their wares to the visitors. 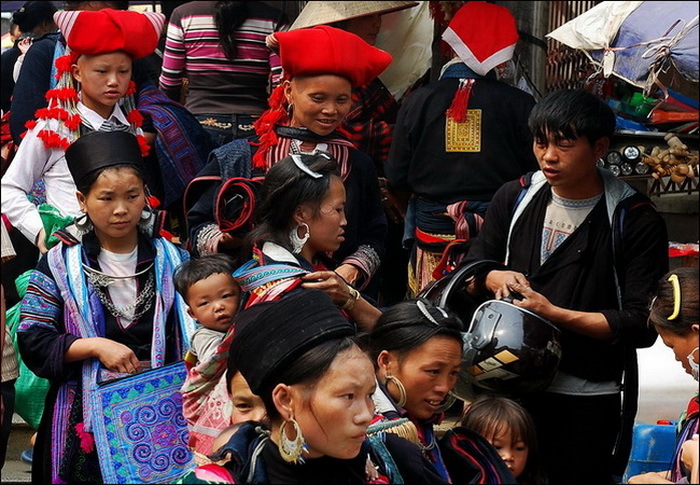 The most common are Black Hmong, (Hmong comprise over 50% of the population of Sapa district), Red Dzao and Tzay though you may also come across White or Flower Hmong, Black Dzao and various Tai groups too. 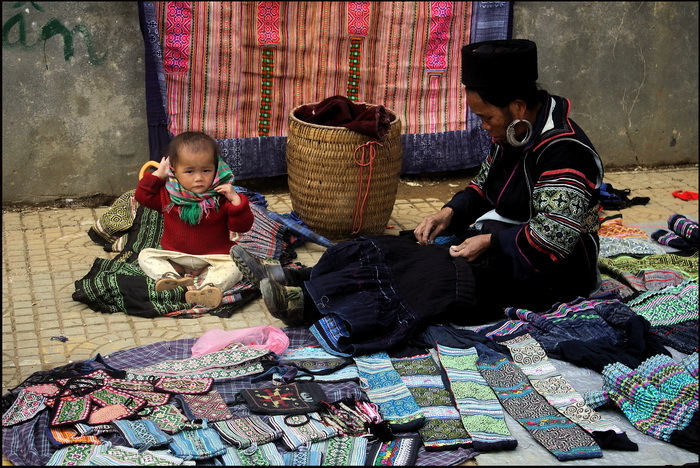 Most of these hill-tribe groups still like to wear traditional costume and indeed the Black Hmong are unusual in that unlike the majority of ethnic groups in Southeast Asia you’ll still see even teenage boys wearing their traditional gear. 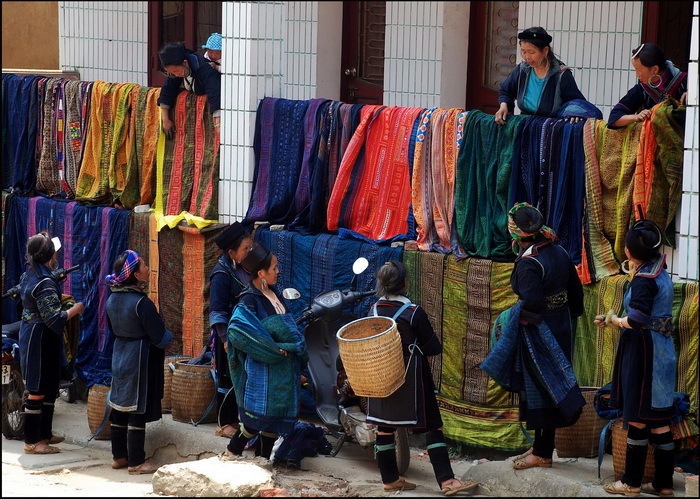 Note the Hmong women can be notoriously insistent vendors and attractive as their wares are you certainly don’t want to buy shoulder bags or bracelets all day long every day and some patience is required. They are generally very friendly though, easy to smile and often have an excellent level of English and bear in mind they are poor and need the cash! 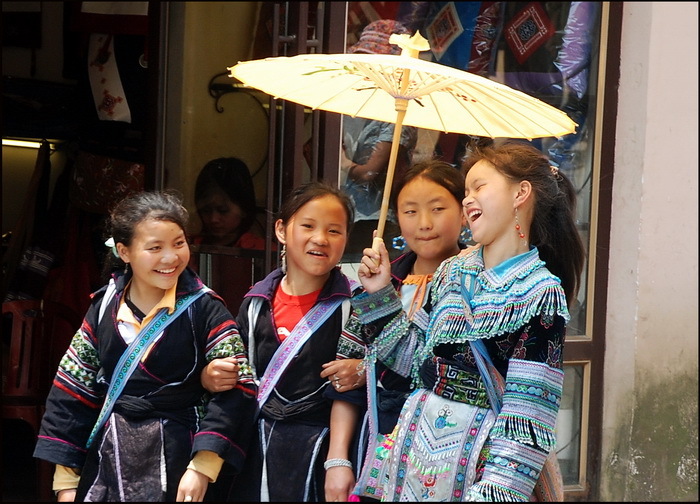 Contrary to some opinions they do not only come into Sapa to sell handicrafts but also to buy and sell goods in the market, meet friends from neighbouring villages, show off their ‘Sunday best’, catch up on the gossip or upload the latest ring tone in the Nokia shop. Grab a coffee in a ‘high street’ cafe terrace and just watch the proceedings; check-out the Hanoi yuppies with their de rigeur floppy Red Dzao hats sending I-phone pix to their office colleagues, watch the stressed out French tour group losing it when they get ambushed for the ‘N’th time by Hmong women, sneer at the inane backpacker girl trying to show how cool she is by bonding with her Hmong ‘sisters’ or admire the elaborately dressed hill-tribe girls in their finery strolling up and down deciding which lad from the next village they’re going to give their cell-phone number too! It’s all great fun and these are sights you won’t see anymore in most parts of Southeast Asia. Goes without saying there are fantastic hikes to be done in the surrounding area; plenty of friendly villages to visit and some awesome scenery to be seen but we’ll have another coffee and save that for a subsequent blog post. 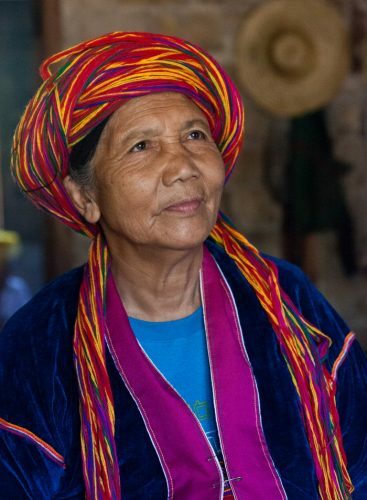 We think Sapa’s so good we’ve included it in no less than 3 of our All Points East itineraries and you can find details at the following links: China and Vietnam, ‘South of the Clouds‘, Laos and Vietnam, ‘Mountains and Hill-tribes‘ and Thailand, Laos and Vietnam, ‘Unexplored, the Far North‘.